If your iPAQ hw6500 series is suffering from a case of memory loss, noticeable symptoms of this problem include the loss of all user data and custom settings when your main iPAQ battery runs flat. To solve this problem the internal memory backup battery will have to be replaced with a brand new part. 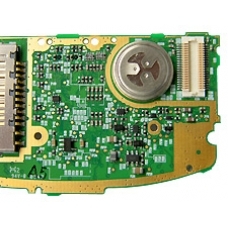 The problem is the internal backup battery on the hw6500 iPAQ is soldered directly on to the main board, this repair procedure involves removing the old failing battery and replacing with a new one. If your hw6500 series iPAQ is suffering from a case of amnesia, noticeable symptoms are the unit loses all user data and..